Christmas is this week?!?! Are you ready? This past weekend I did over 100 Christmas cards and finally got them into the mail. Thankfully I craft so many Christmas cards on the blog and in my events that I had more than enough cards to send, without having to sit down and mass produce them all. Keeping the blog post short and sweet today ... afterall, I have shopping, wrapping, baking, cleaning, drinking to do - you know how it goes! 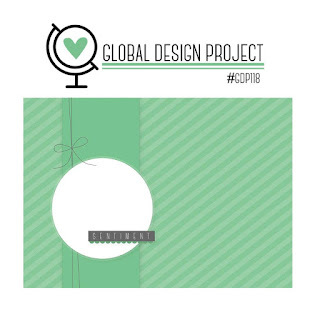 If you are crafting this week, take the challenge and share your creation with us at the Global Design Project! 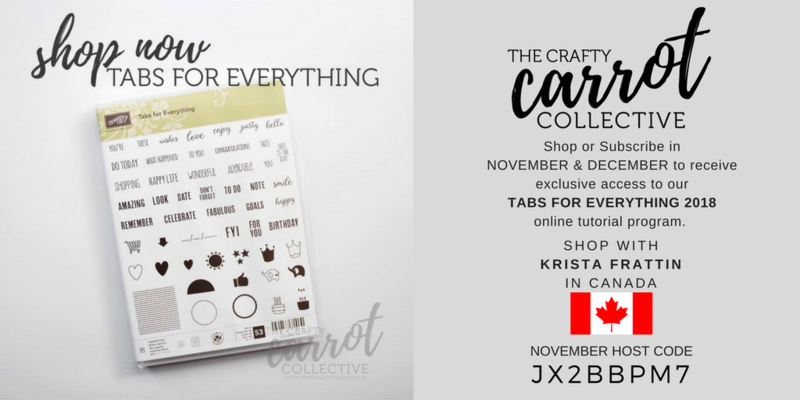 tutorials from the Crafty Carrot Collective in January! Hello everyone! 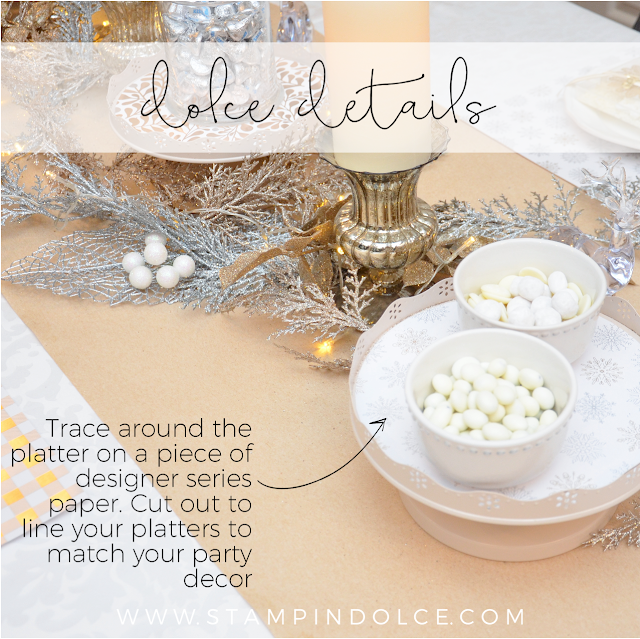 Welcome to the December Fancy Friday Blog Hop! This blog hop is made up of award winning Stampin' Up!© Artisan Design Team members - past and present. We hope you are ready to be dazzled! 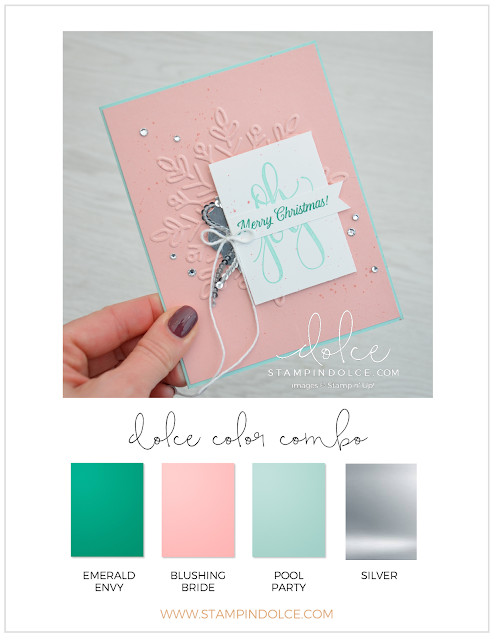 This month our hope theme is "Mixed Metallics". My monthly, in studio, stamp clubs get treated to a Christmas party each december. 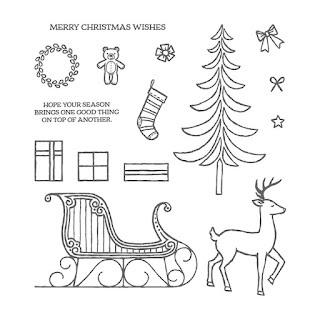 I used the Year of Cheer suite featured on page 36 and 37 of the Holiday Catalogue from Stampin' Up! to decorate my table and make little party favors for my guests. A trip to Dollarama made my holiday table come together at a great price. I purchased the metal pedestal plages for just 4$ each! Adding Designer Series Paper to the top made them match my decor perfectly. All I did was trace the platter to the backside of the Designer Paper and cut out with scissors. I made sure that I was cutting "inside" the traced circle so that it was small enough to slip in the platter top. The best part is that I can just replace these papers if I use them again for another party with a different theme! The metallic garland all came from Dollarama. They were available in Silver, Gold and Champaign Champaign is this year's "it" Christmas color ... did you know that there is new 12x12 Champaign Foil Sheets in the Holiday Catalogue? We should not be surprised .. Stampin' Up! is always on trend! Although this garland looks beautiful with the Year of Cheer Designer Series Paper, I am afraid that I will never be able to fully clean all of the glitter dust from our home! What a mess! 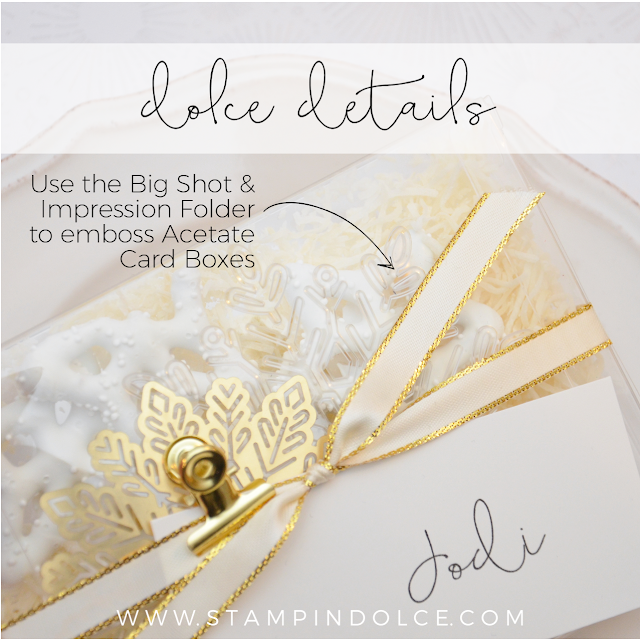 If you follow the Stampin' Dolce blog and social media (find links to follow me in the sidebar >>), you will know that I am #obsessed with reindeer this Christmas! I found these plastic clear reindeer at Dollarama! Aren't they perfect! I think I paid under 2$ each!. 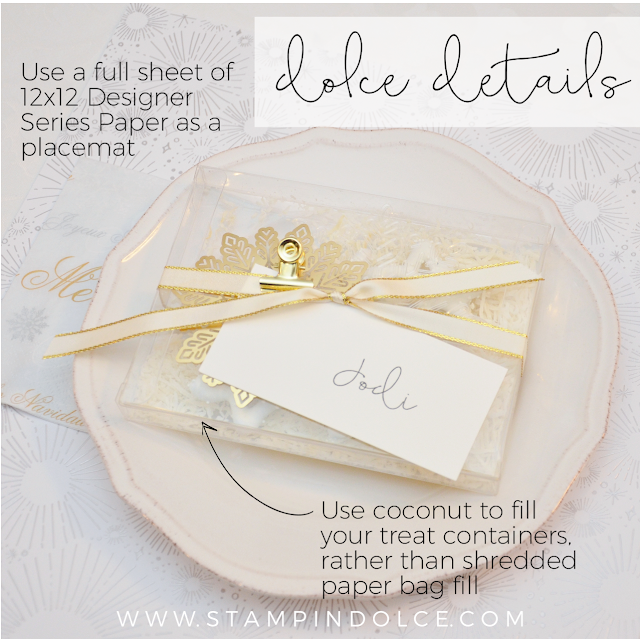 Have you ever thought of using 12x12 Designer Series Paper as a placemat? I love how it tied the table all together. Some of my customers were a little nervous to slop on the paper but overall we did great. I think I was the only one who made a mess! I will upcycle the paper for projects and the one that I dripped on can be used, once I trim the stained piece off of it. You can emboss these Acetate Card Boxes with the Big Shot and a Textured Impression Embossing Folder! Just sandwich one face of the box into the embossing folder and drive through the big shot as you normally would with an embossing folder. For more metallic project inspiration, click over to Jenn Picard. Thank-you for following us in 2017! We look forward to creating for you in 2018!!! Merry Christmas and Happy New Year to you, our Fancy Friends! 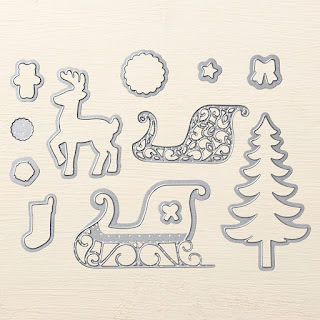 The Santa's Sleigh Framelits came out in the Stampin' Up! 2016 Holiday Collection. After swooning over projects on Pinterest, I finally put this beauty on my order list! I used Copper Foil Sheets with these framelits but feel that any of the Stampin' Up!© Foil Sheet or Glimmer Paper colors would look ah-mazing with this sleigh!! I kept this card fairly simple so that the focus was on my beautiful sleigh. I cut a Boxwood Wreath Embellishment in half, and wrapped it around my pinky finger, to create a mini wreath. I "hung" it over the front of the sleigh and set it in place with a Mini Glue Dot. 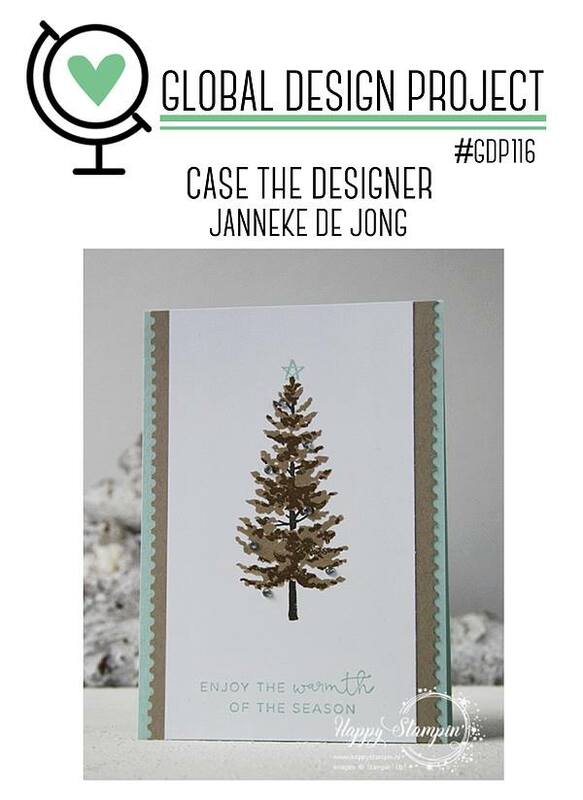 The layout of my card this week was inspired by the Global Design Project Challenge #GDP116. for more inspiring projects from this challenge! The sleigh is not the only swoon worthy die in the Santa's Sleigh Framelit set! Look at this adorable reindeer!!! This amazing thinlit set has a coordinating Photopolymer Stamp Set! Refer to the project supply list below for details and the link to my online store. Thank-you for visiting! I hope that you are finding some time to create this Christmas! It is one of my favorite times of year to do just that! 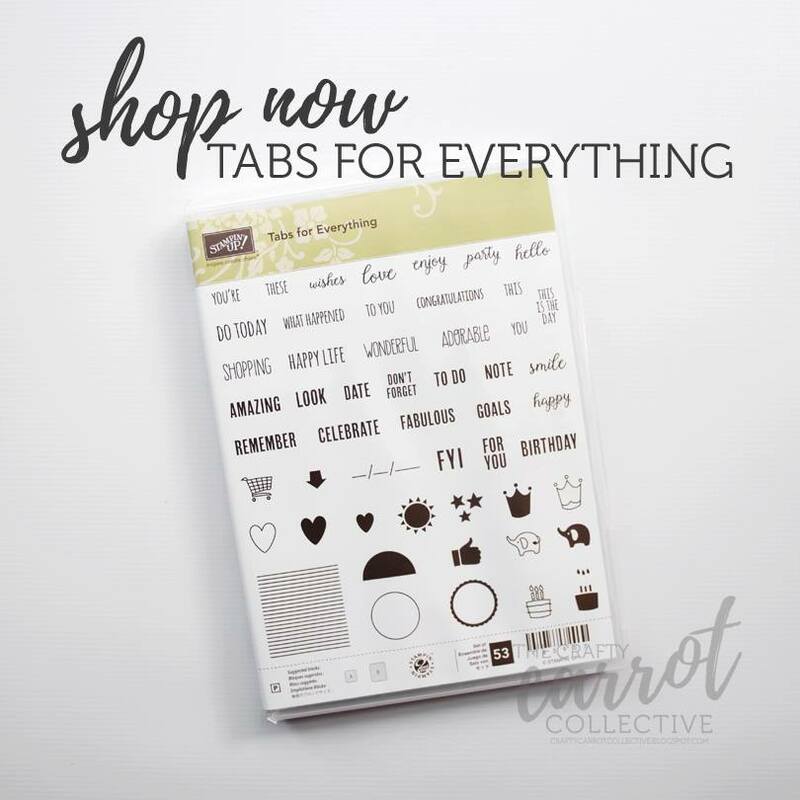 January Crafty Carrot Collective online tutorials! 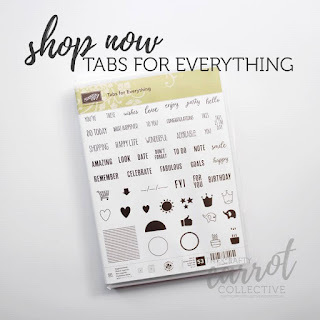 January tutorials will feature the Tabs For Everything Stamp Set. Add it to your order to follow along! These favorite products are on sale, up to 30% off! Get your favorites before they are gone forever! 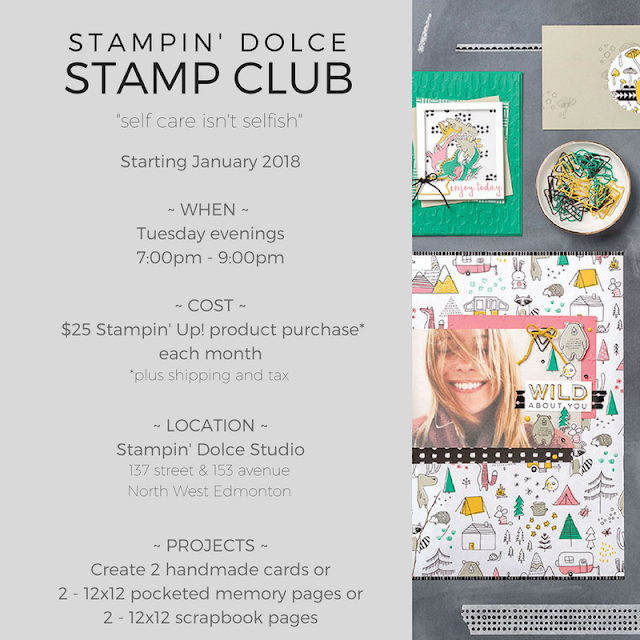 Come January 2nd, 2018, these Stampin' Up! Holiday items will no longer be available. Shop early to get yours before they are gone forever. Life, Work, Family ... it can all be busy and sometimes stressful. Spending a little time on your self can be the key to happiness and a balanced life. Schedule some "you" time and join a Stampin' Dolce Monthly Stamp Club. *Stamp Club Make and Take Projects are free with a $25 Stampin' Up! product purchase each month, plus shipping and tax. 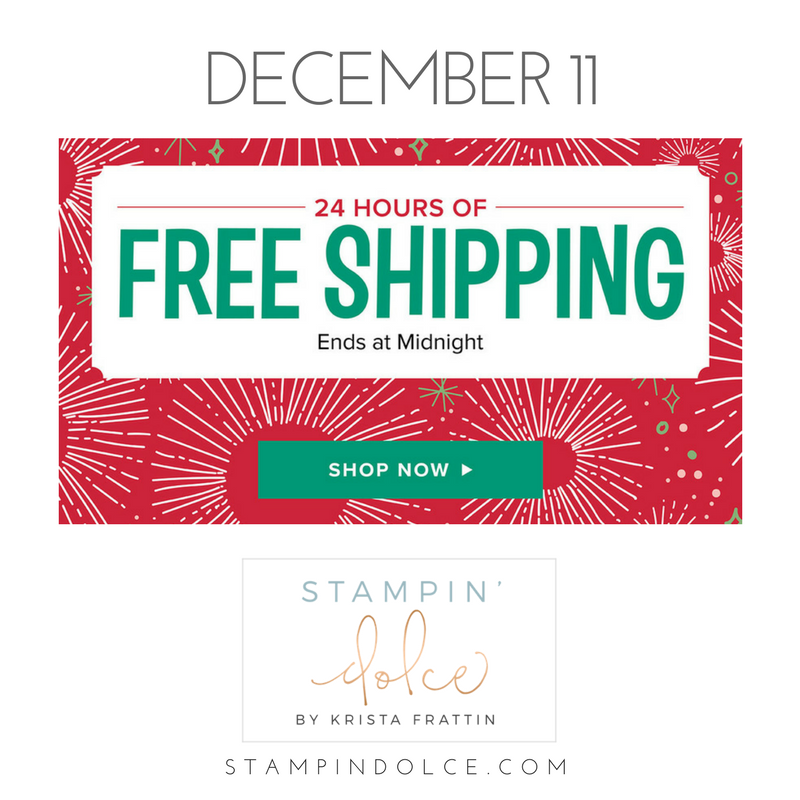 Use the latest Stampin' Up! tools and create with the trendiest products on the market. 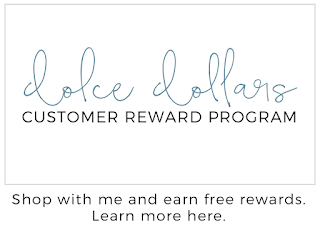 You will receive a free shopping spree, upwards of $30, once in the cycle of the year. 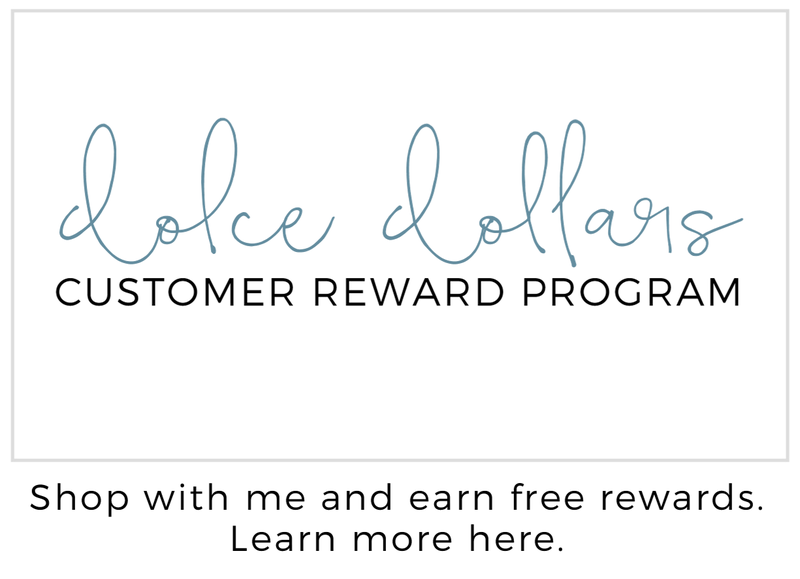 (Each stamp club month the orders are combined for a "workshop"; this results in free host rewards! Each club has 12 members; therefore, each club member is the "host" once in the cycle of the year). Laugh, relax and have fun while having some YOU time! An exclusive Christmas Party to wrap up our year in December. This epic event will be the highlight of the year! 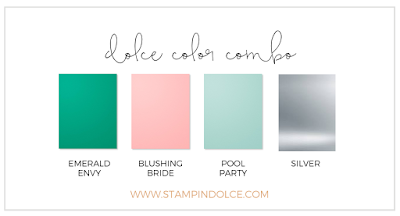 Stampin' Dolce Stamp Clubs are flexible to meet your lifestyle. If you can not attend your club you are still required to place your monthly order with my by 7:00pm, the evening of your scheduled club. You are invited to attend a make-up Tuesday class, schedule will be shared each month. I will broadcast LIVE on a private Facebook club page, showing you how to make the projects and teaching you new techniques. Enjoy a "to go" bundle of projects so that you can create the Make & Takes at home, following the video posted to the Facebook Group. Pink is for pretty, pink is for Christmas! Pair it with Pool Party, Emerald Envy and Silver and you have a frosty color combo to wow. 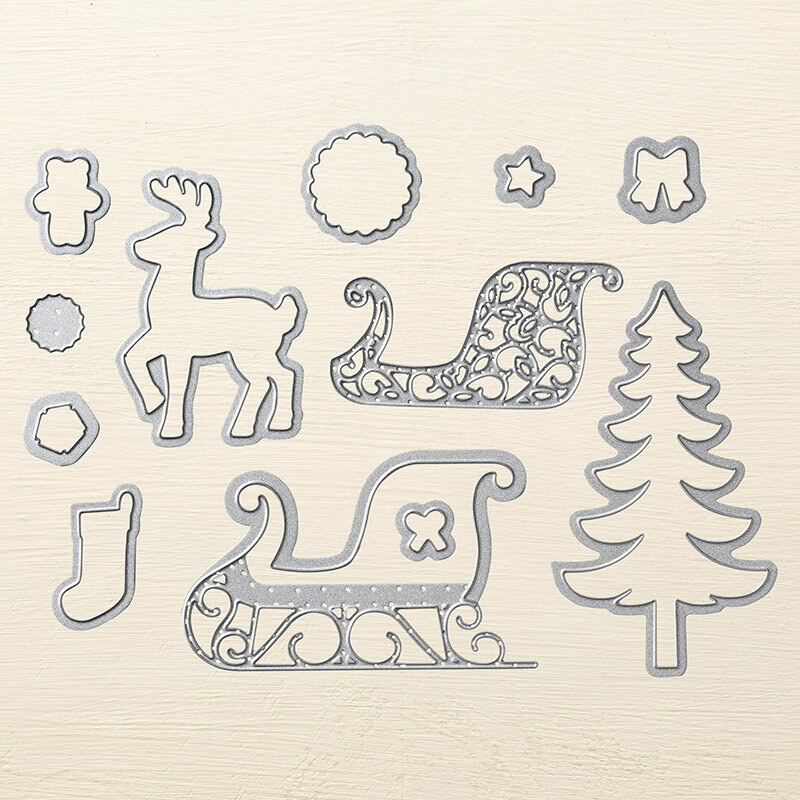 Crafting for Christmas this week? 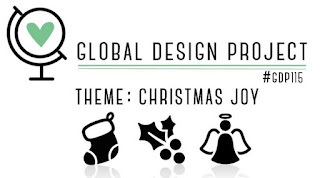 Come visit us at the Global Design Project and share your creation! Each week we issue a challenge ... this week is Christmas Joy. Thank-you for visiting!! Have a creative week! The Crafty Carrot Collective is an online tutorial program! Purchase the stamp set of the month or subscribe to join!